Companies that work directly with small businesses would benefit from having a dual-purpose cash and check scanner. Despite the countless new ways consumers and businesses can make payments, there is one group that is holding tight to their checkbooks. Small businesses continue to write out paper checks for much of their business-to-business payments. According to a PYMTS survey, 97 percent of small business respondents said they use paper checks to make or receive payments, though the reasons for why certain entrepreneurs reach for their checkbooks before their wallets or mobile devices vary. The biggest reason for using checks is a very straight-forward one: 41 percent of respondents to a survey from Viewpost said their suppliers simply don't accept electronic payments. So, they have two options: Cash or check. Another reason is closely related to the first explanation. When choosing between cash or check, businesses will more often than not opt for the paper check. This leaves an easily documented paper trail. Proof of payment in the form of that handy carbon copy behind each check is useful for accounting and taxation purposes. Everyone can relate to an instance where the phrase "if it ain't broke, don't fix it" can be applied. For many business owners, this idiom perfectly explains check-writing. The average business owner is 50 years or older, according to a study from Babson College and Goldman Sachs. This means they've probably been using paper checks for much of their adult life, and especially so with their companies. Treasury and Risk pointed out that familiarity could be a driving force behind paper checks' continued popularity. "Checks are ubiquitous," Nancy Atkinson, a senior analyst at technology research and advisory firm Aite Group, explained. "Everybody on both the payer and the receiver side knows what to do if they receive a check or write a check. It's habit, it's what there's a comfort level with and it's difficult to change behavior in those regards." Even though the familiar action of writing out a check doesn't need to change, the payments industry has recognized the importance of improving upon this process. Checks in the U.S. can now be processed remotely, using nothing but an electronic rendering of the document. B2B companies that continue to accept paper checks can speed up the collection of funds by taking advantage of these technological advancements. 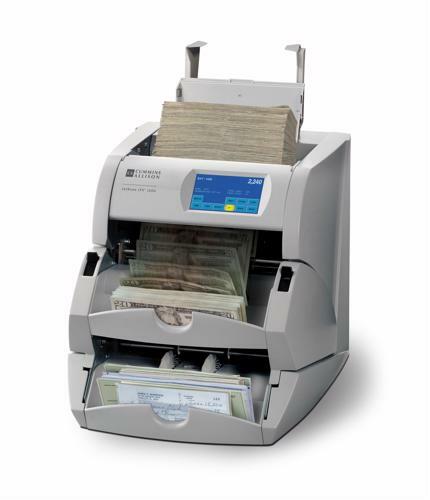 For example, a JetScan iFX i100 dual-purpose cash and check scanner from Cummins Allison can scan up to 400 checks in just 60 seconds, making tallying up the day's totals that much easier.